DH & I tried naturally for about a year and went to see a fertility specialist after I realized there was definitely something wrong. I have hyperthyroidism and they diagnosed me with PCOS (I suspected the possibility because of absent periods but didn’t have other symptoms such as being overweight or acne). -We did 2 rounds of clomid, 1 round of femara. No luck. -We then did 4 rounds of stims & timed copulation. No luck. 1st round, got BFP, at 4 week scan had a ‘blighted ovum’, had to have DNC. 2nd round also got a BFP but so low that they said it was chemical. Doctor then said my eggs were low quality and we just had to keep on doing IVFs till we get the golden egg!? Then I discovered newhethir.wpengine.com! I am menstruating & ovulating on my own, which I never was before because of my PCOS! My cycles are still long, but so far have gotten shorter each month! Now I can track my cycles and pinpoint ovulation to try for a baby. What is some advice you would you give others going through their fertility journey? I cannot stress how important diet is in this journey, what we put in is definitely what we get out. 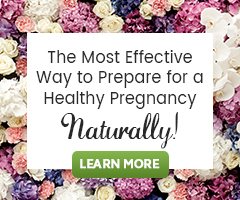 Eating healthy combined with appropriate natural medicine will jump start your fertility. Wherever possible, try to stay away from food in plastic as it leeches out hormones. Same applies to lotions and body washes that contain BPA and Phthalates (pretty much everything we probably use at the moment), they wreak havoc on our endocrine system. Not what us TTC girls need.